Kansas Insurance Department Director Sandy Praeger is well known and respected throughout the region and nation as a knowledge expert in her field. For the last few months she has traveled throughout the country helping states implement Health Insurance Exchanges that are mandated by the new health reform law. Kansas was recently awarded a $31.5 million dollar federal grant to implement a Health insurance Exchange, no doubt because of the leadership and respect federal officials have in Ms. Praeger. All this positive news and implementation activities changed drastically last week, when Governor Sam Brownback announced that he was returning the $31.5 million dollars to the federal government. Just last December, he authorized Ms. Praeger to apply for the grant and now in August he has decided he wants to return the money. This money was awarded to allow Kansas to establish a state specific health insurance exchange that would meet the insurance needs of Kansas residents. 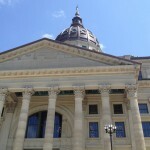 If Kansas decides not to establish their own exchange, the new law requires the federal government to operate one in the state. Why would Gov. Brownback want the federal government to establish and run the health insurance exchange in his state without input from his own residents? The money returned to the federal government by Kansas will be reallocated to other states – In fact, last Friday Missouri and 12 other states received a total of $185 million dollars to establish individual health insurance exchanges. Missouri received almost $21 million dollars. We live in very confusing times. Hopefully Missouri elected officials will not turn down the money it has just received, but who knows? The federal law states that health insurance exchanges need to be implemented in each state by January 1, 2014. It just seems logical to me that states would want to have a say in how their exchange is designed and implemented.